When an advisor decides to switch firms, who will keep the clients? Will the client stay with the firm, or will they follow the advisor? According to a recent study, investors tend to stay loyal to their advisors rather than stay with the practice that was left behind. 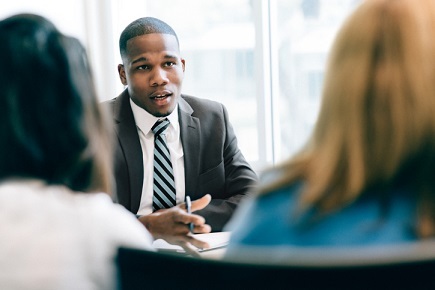 After surveying 3,000 respondents with a net worth of over US$100,000 excluding their primary residence, consultancy firm Spectrem Group found that clients trust their advisors more than a personal attorney or accountant, according to Financial Advisor IQ. Spectrem also found that trust to be on par with that of a primary care doctor. The length of time for which clients have been with their advisors also reflects their loyalty. Around 38% of the high-net-worth respondents reported having been with a primary advisor for between three and 10 years; nearly a quarter have relationships lasting at least 15 years. The length of time tends to grow with the client’s age. Sam DeGennaro, a senior partner and managing director at Snowden Capital Partners, joined his current firm just last year after a long career at Merrill Lynch. When he switched firms, a vast majority of his clients followed — which he attributes to his relationships with them as well as his decision to be upfront about his transition. Honesty and trustworthiness are prized by clients; 28% of the respondents in the Spectrem survey identified their impression of an advisor as “honest and trustworthy” as a top factor in choosing a new one. Making the effort to protect client interests is also a leading trust factor for 81% of men and 84% of women. Still, most advisory practices would need to strike a healthy balance: advisors need autonomy, but the firm’s objectives should still be prioritized. Beacon Pointe accomplishes this by assigning clients a senior wealth advisor, a junior wealth advisor, and a business development advisor. In the end, it’s all down to the feeling of connection. “The more connected an investor feels, the more likely they will choose [the] relationship with their advisor over the comfort level of staying with their financial firm,” the report from Spectrem said.